Click below for our current specials! Scout says Gear Up for Winter! If the breeze from those open windows just isn't enough to keep you cool or the heat from the engine isn't enough to keep you warm, come get an expert opinion on what we can do to fix your auto A/C or heating problems. Call today! We look forward to meeting you! 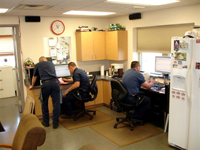 As your local auto repair shop, we pride ourselves on our customer service & open-door policy! Call or stop by during business hours and talk with our friendly staff to determine how we can best serve you. We now perform Custom Exhaust Work! We perform tire repair and alignments as well. 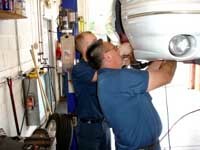 Auto Maintenance is essential to your vehicle performance! Trust the experts at Lakeside Certified Auto to help you protect your investment. Lakeside Certified Auto Offers Auto Repair Services You Can Count On! Since 1986, Lakeside Certified Auto has provided motorists in the Willoughby, OH 44094 area with comprehensive auto repair services that include Alignment, Brakes, Car & Truck Care, Domestic Cars & Trucks, Electrical Services, Electronic Services, Engine & Transmission, Engine Maintenance, General Services, Heating and Cooling Services, Import Cars & Trucks, Inspections and Emissions, Miscellaneous Services, Quick Lube Services, Tires, Transmission Services and Undercar Services. Our goal is to offer the best services available at affordable prices to get you back on the road in no time. For a high-performing vehicle, trust Lakeside Certified Auto with your car, truck, or van. To learn more about the services we offer, please contact us by phone at 440-946-0076 or send us an email. We also invite you to learn more about our dedication to you, our valued customer. This was my first time going to this repair shop and I WILL ALWAYS go back! My heat was not working and I had 2 different estimates from other shops who quoted me at $950-$1,000 to replace my heater and it didn't sound right to me so I brought it here and the guys called me a few hours after dropping it off and said nothing is wrong with my heater, someone had UNPLUGGED something to keep my heat from working. It goes to show how dishonest other shops really are that they lied to me but Lakeside Auto was honest with me and saved me so much unnecessary money. They could have lied to get more $ but they don't do business that way and I appreciate them so much! the trouble I was put in with no heat for 2 weeks with my baby was horrid and im so thankful to have found an honest shop!! This is my "go to" place for repairs. I break down in the morning, get towed to their building and left before end of day! If I could rate them higher, I would! Had my car at Mentor Nissan over 3 days, and they weren't able to find out what was wrong with it (I drive a Nissan Altima). Took my car over to Lakeside, and within 12 hours I knew exactly what was wrong with my car, and it would only cost me a FRACTION of what Mentor Nissan quoted me. Fast, Reliable, Professional, and Very Friendly! I love this place. Everyone is friendly and professional. Prices are reasonable too. Fair prices, great mechanics. Been going there for years. Mechanics are friendly and always have time to talk to you about your car. Pleasant staff, clean shop/storefront, great prices. You'll not be disappointed! I needed a specific repair done that the dealership quoted at $1800. Lakeside originally quoted $1600 but they promised to do some research and came back to me with an $800 quote. They did a good job on the fix and even gave me a car to use- no extra charge- while they worked on my car.